Goldenrod; photo by Dendroica cerulea on Flickr (use permitted with attribution). South Carolina designated goldenrod as the official state wildflower in 2003, a result of efforts by the state wildflower Chairman for the Garden Club of South Carolina. 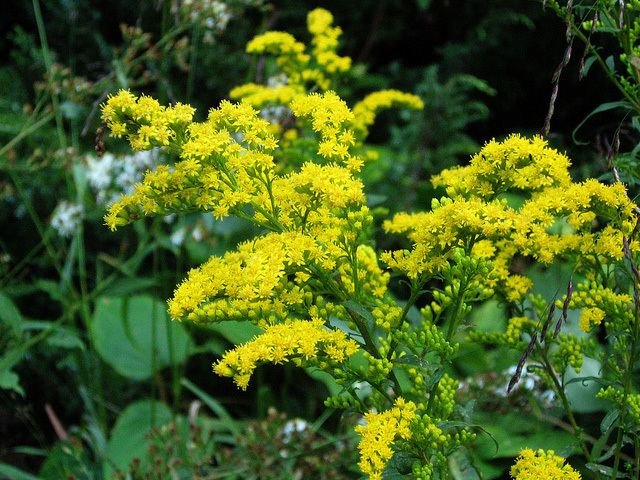 Goldenrod is a hardy plant with bright yellow flowers blooming in late summer and early fall. Goldenrod is found throughout South Carolina in fields, meadows, and along roadsides.